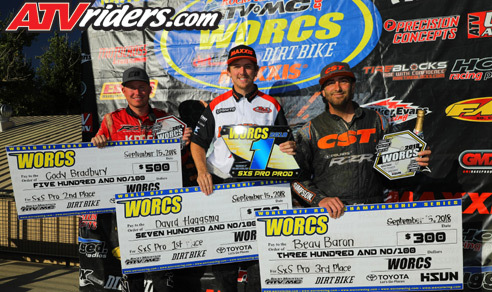 Bakersfield, CA (9/20/2018) - 51 Fifty’s David Haagsma scored his second victory of the season during the WORCS Racing Series Pro SXS race at Glen Helen Raceway in Devore, CA. The victory allowed him to pad his points lead with just three races left in the season. The event marked the return to WORCS competition after the long summer break, and things didn't start out smooth for Haagsma as he suffered an engine failure during Friday's practice, but with the help of Cognito Motorsports and Sparks Racing, Haagsma had a new engine delivered and installed just in time for the Pro event on Saturday. Haagsma had tested the corner several times before committing on the final lap. Using an inside-outside move, he stuck it and made a clean pass. The win came at a good time for Haagsma. After trouble in the last round, he still holds the points lead, though by a slim margin. He extended his lead to seven points going into the final three rounds. 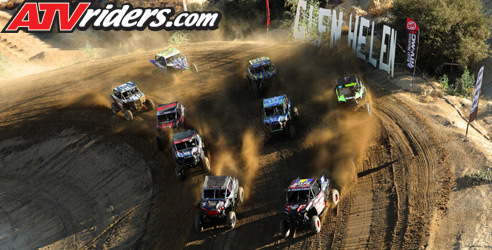 Glen Helen is known for its massive elevation changes, and challenging terrain. This year’s track also featured a mix of mud and hard pack surfaces. 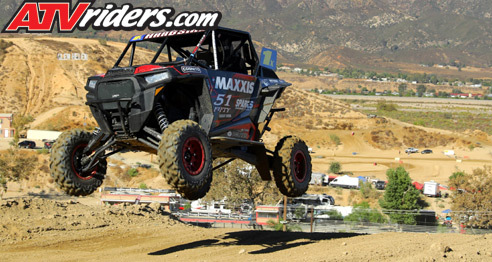 Haagsma said his Maxxis Tires gave him reliable grip during the entire event. Haagsma will return to the WORCS Series at its next round scheduled for October 5-7 at Mesquite MX in Nevada.